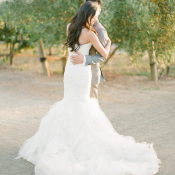 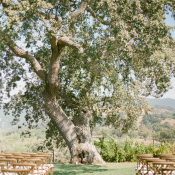 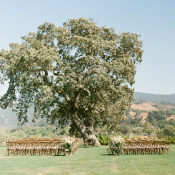 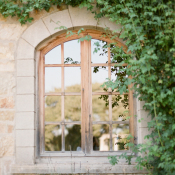 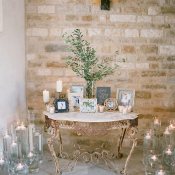 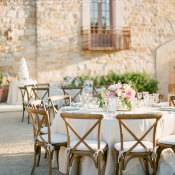 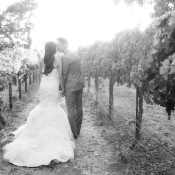 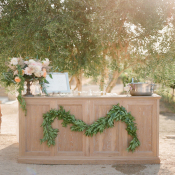 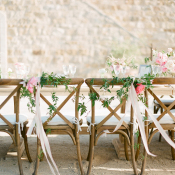 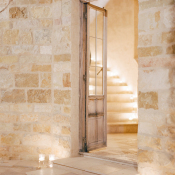 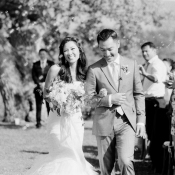 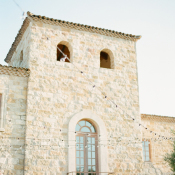 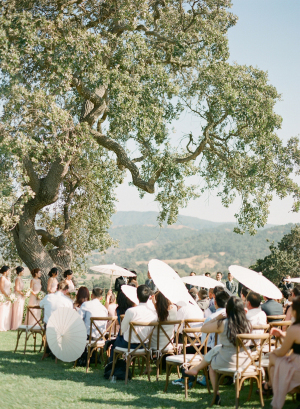 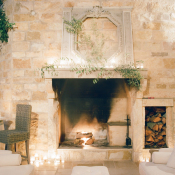 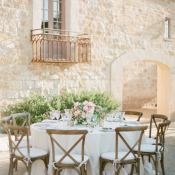 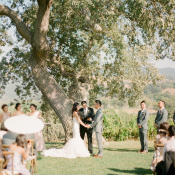 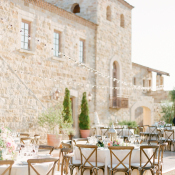 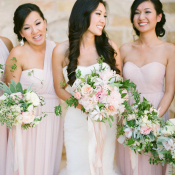 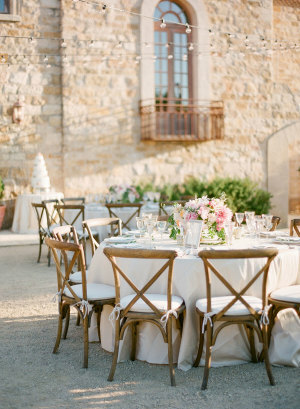 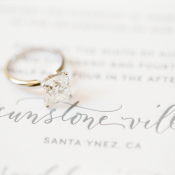 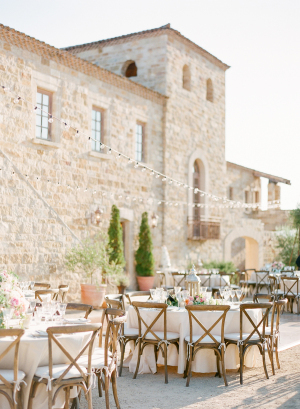 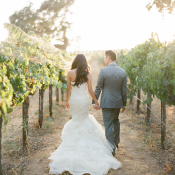 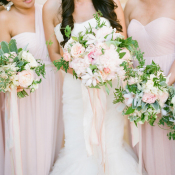 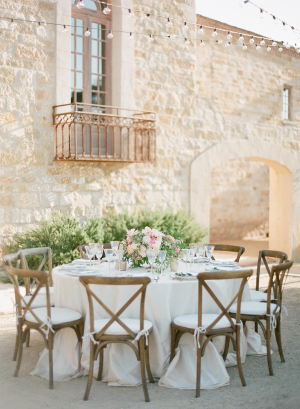 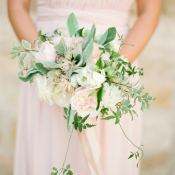 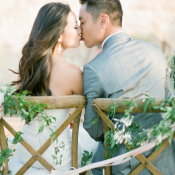 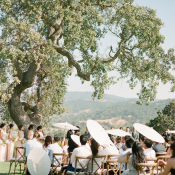 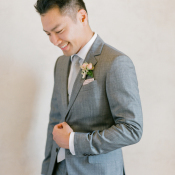 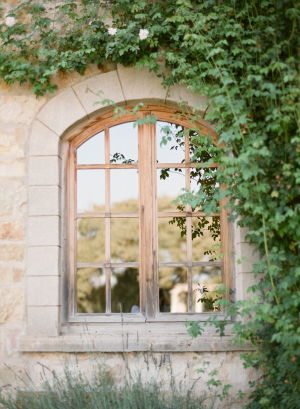 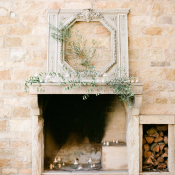 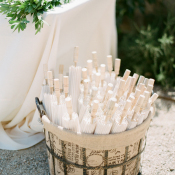 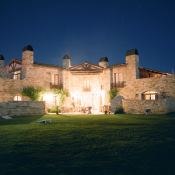 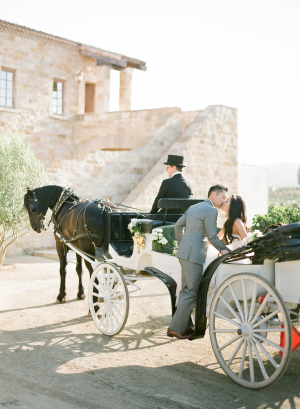 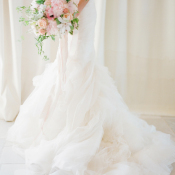 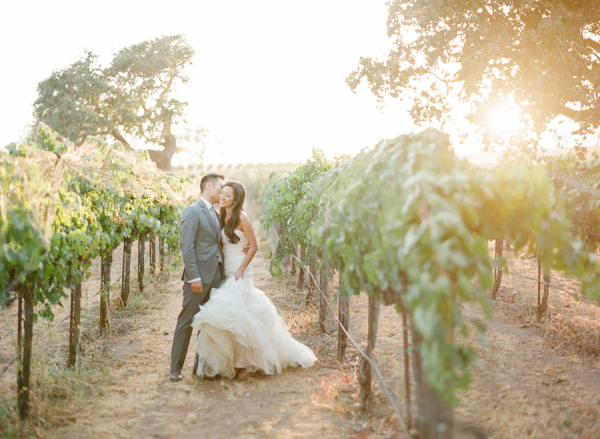 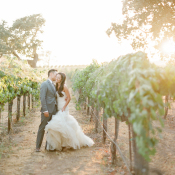 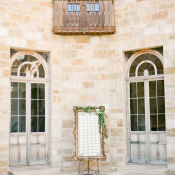 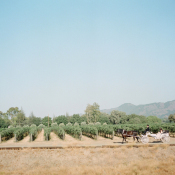 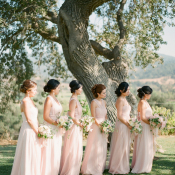 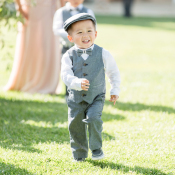 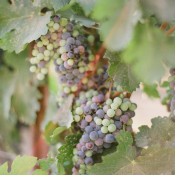 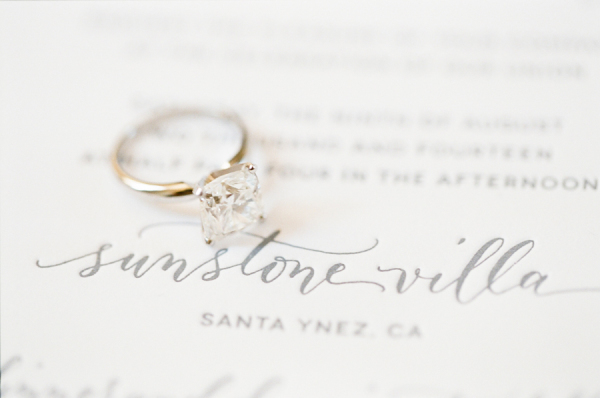 James and Inga selected the breathtaking Sunstone Winery in Santa Ynez for their timeless and romantic wedding. 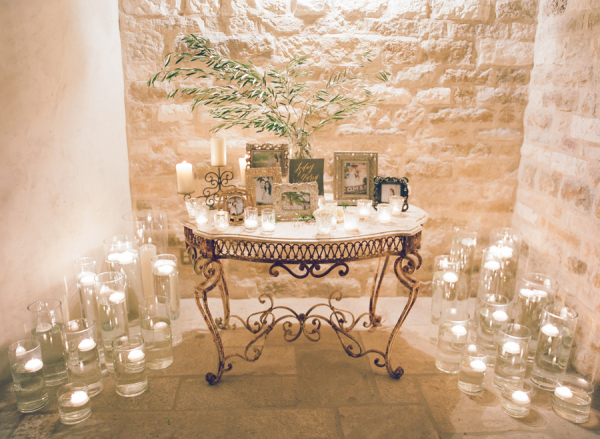 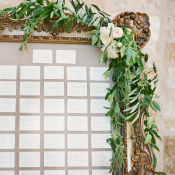 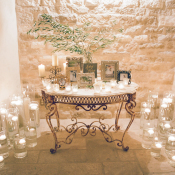 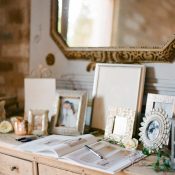 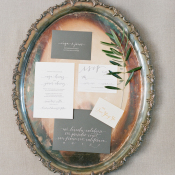 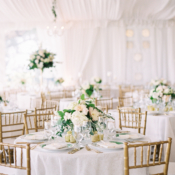 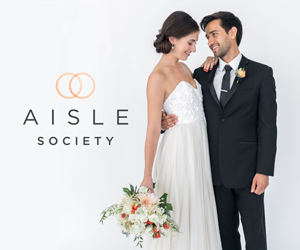 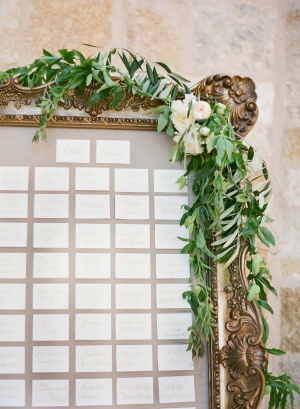 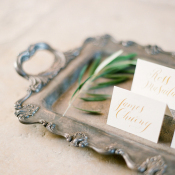 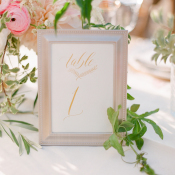 The couple brought their vision of a wedding full of warmth and family to life, scouting out antique markets for decor, collecting candles, votives and hurricanes to accent the beautiful venue, and lovingly restoring items such as the lovely gold frame housing their seating chart. 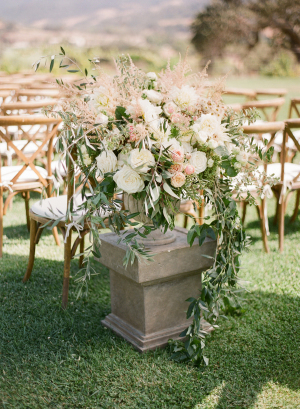 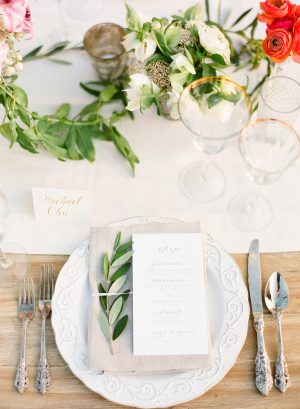 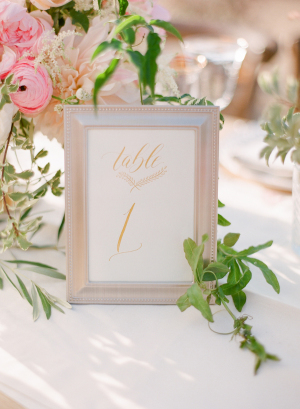 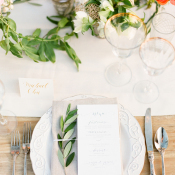 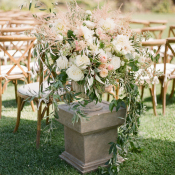 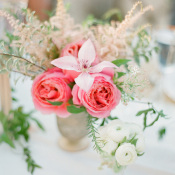 A blush and peach color palette complemented the venue’s natural elegance and custom calligraphy signage from Angelique Ink and Carolyn Jane added a whimsical touch to the festivities. 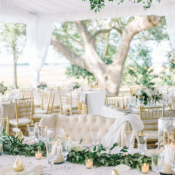 Inga and James worked with Joy Proctor and Camellia Floral Designs to design the outdoor ceremony set beneath a stately oak tree and dinner reception in the front of the house. 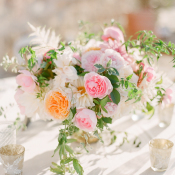 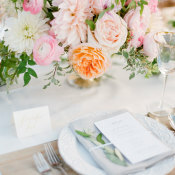 Lush, organic florals dressed tables from The Tent Merchant, and a ruffly cake from Decadence Fine Cakes & Confections was the perfect sweet ending! 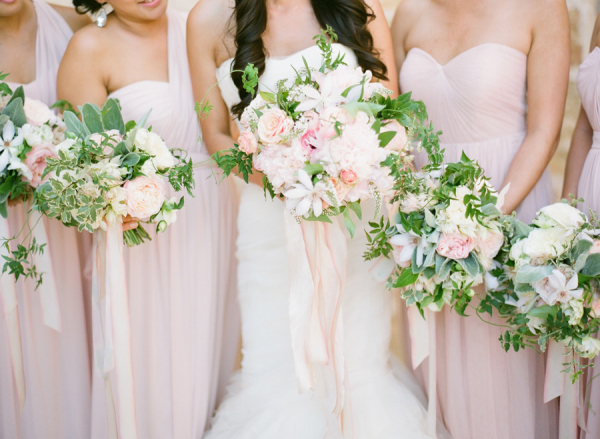 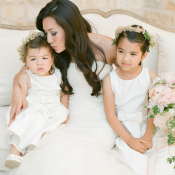 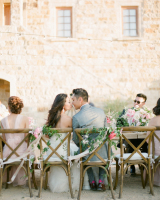 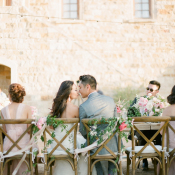 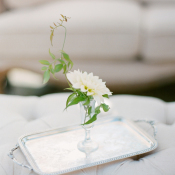 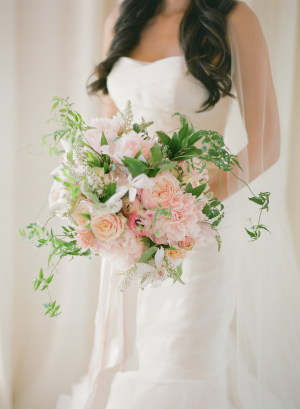 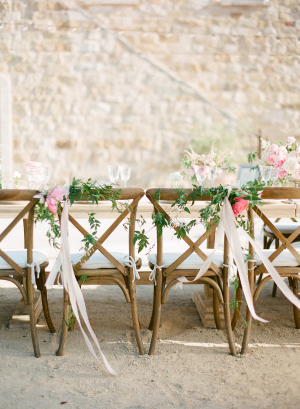 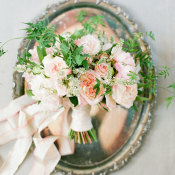 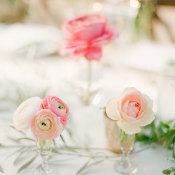 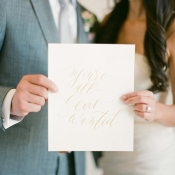 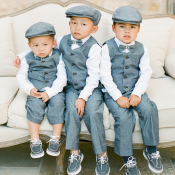 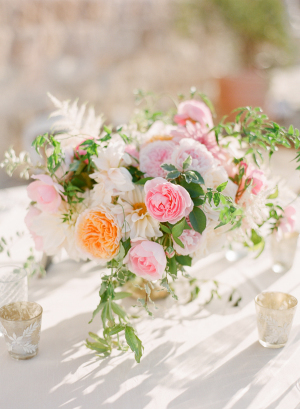 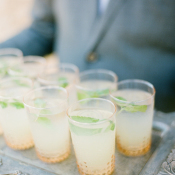 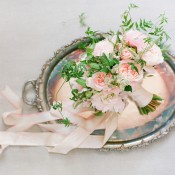 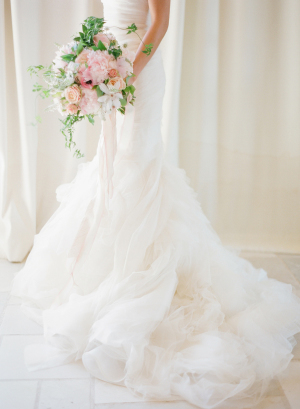 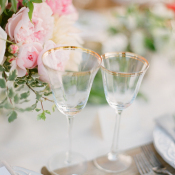 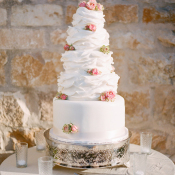 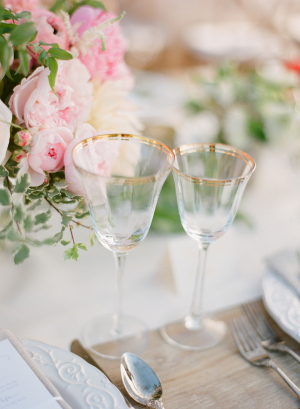 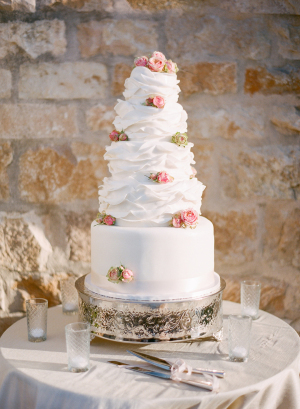 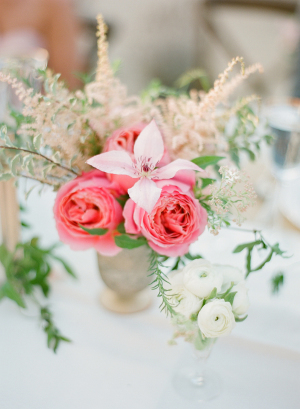 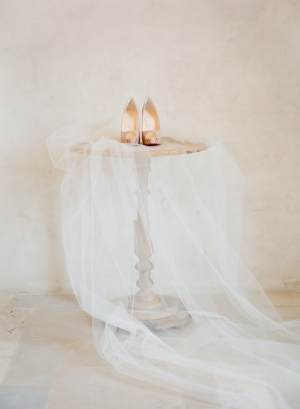 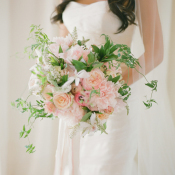 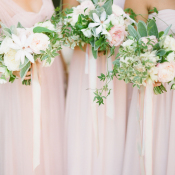 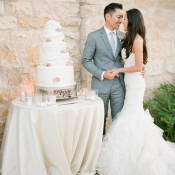 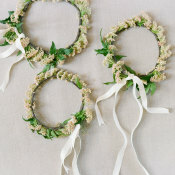 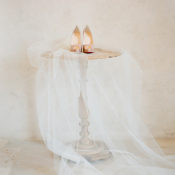 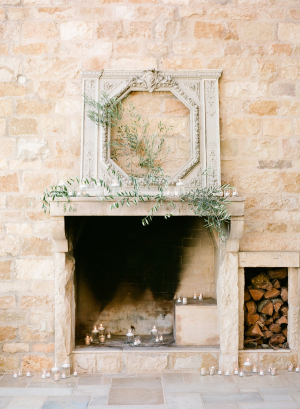 As always, each image from KT Merry Photography is spectacular—gush over them all in the gallery!